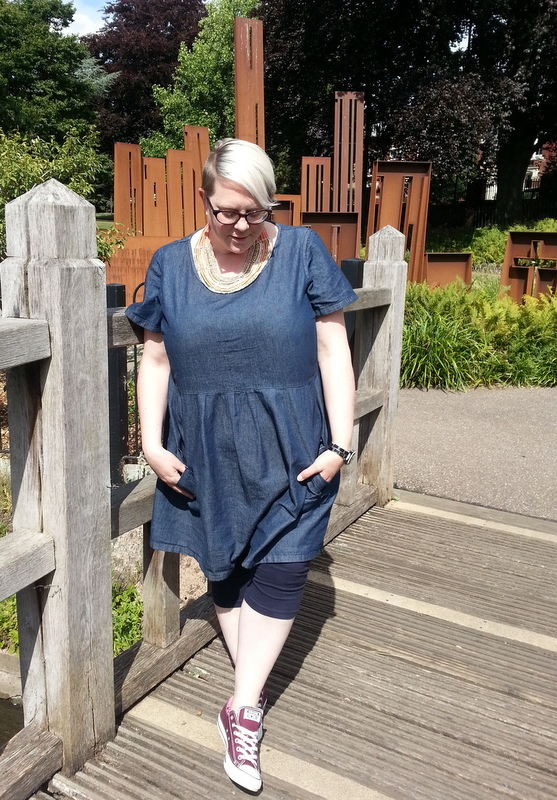 I am back with day eleven of Outfit August after a brief two day break from the challenge! Today's outfit is what I wore for a trip to Worcester where we popped to Gheluvet Park for a picnic. We all loved it there especially the Splash Pad area which Oliver thought was fantastic, and then we headed off to Worcester Woods Country Park for a well deserved cuppa and yet more park fun for Oliver! 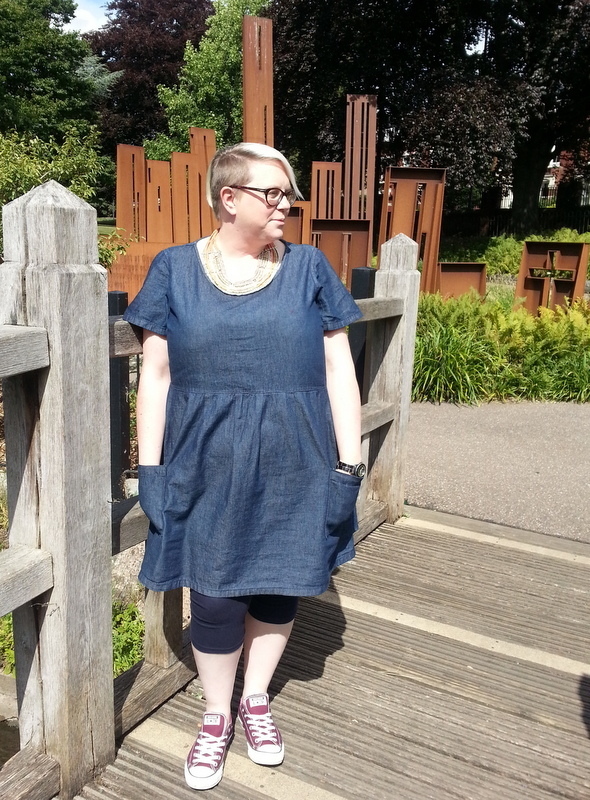 I decided to keep my outfit practical and comfortable today which meant dragging out my old faithful Simply Be denim dress (I think I wear this dress at least once a week!). 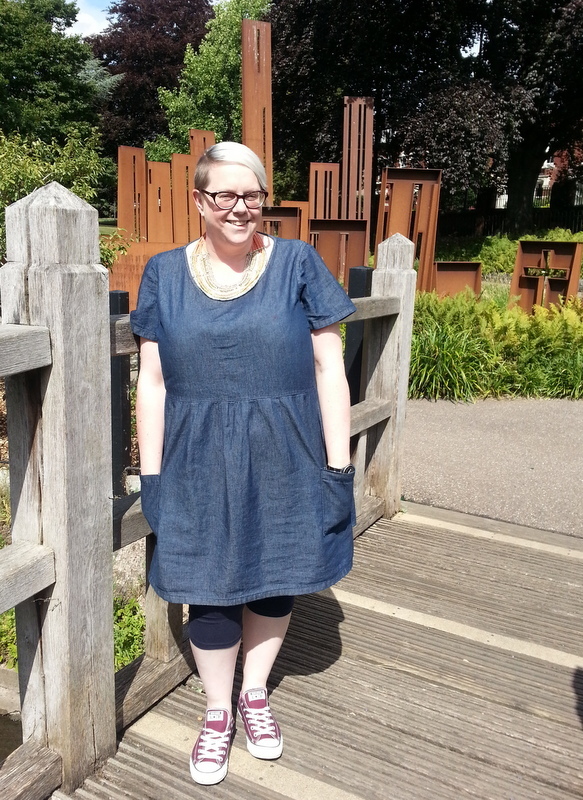 This was the ideal outfit for a day out to the park and the sun decided to put his hat on and come out to play! Don't forget to check out the other ladies also taking part this month.